Rev. 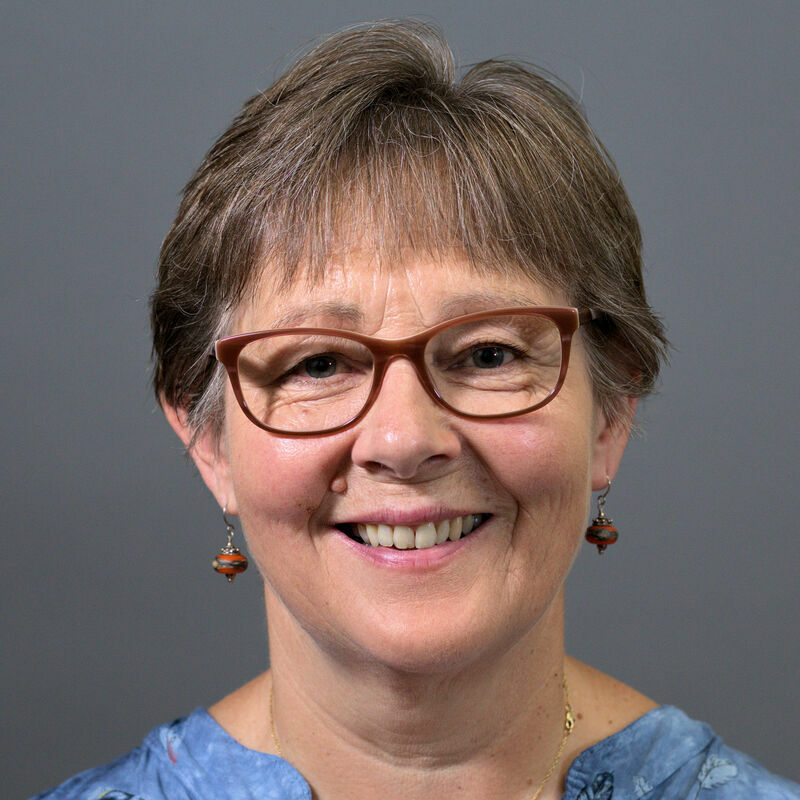 Carol LaChance serves the Tree of Life Interfaith Temple as the Seminary Director. She loves to share her passion for the spiritual journey with others. Carol is presently writing a memoir about her relationship with her horse Max, who was one of her wisest spiritual guides. "I have carved you in the palm of my hand"
How do we hold the paradox that everything is in God's hands, yet God has no hands on earth but our's. Let us come together to celebrate the preciousness and the creativity of our human and divine hands. Looking to Spring and all it's promise. ​The warmth of Spring is shining upon us. We are seeking the new growth in it's many forms. Light from the sun, growth from the earth, new beginnings surround us each way we turn. Rising up from the shelter of winter we will blossom. What does your garden look like in the heart and soul of your God self? Let us come together and celebrate the birth of new beginnings in it's many different forms. Rev. Petahtegoose is a follower of a faith guided life. Having witnessed the blessing of our Creator in a lifetime of twists and turns that have brought her to a wonderful life of Peace Love Joy. You are most lovingly invited to join me March 24th for "Journey of the Heart: Transition and Transformation." What an exciting time we are in - that exquisite, delicate, challenging, holding-all-possibility place between what was and what will be. Yet, most wondrously, our only job is to stay tuned to our collective heart so we may hear the glorious new song we are carrying already birthed in the mind of God. Come. Tune. And expect only delight. ​Welcome Ostara, Eostre, Goddess of Spring! At the spring equinox, the goddess of spring and fertility awakens from her winter nap and walks the hills with her hare, turning everything to green, awakening the hibernating creatures, and bringing renewal and rebirth. We will welcome her with story and song. The days of more light than darkness are nearly here! In honor of Black History Month, Joe will explore with us the songs of slavery, the underground railroad and their hidden meanings. Join us to celebrate, sing, and honor what courageous, divinely guided people can do against impossible odds. 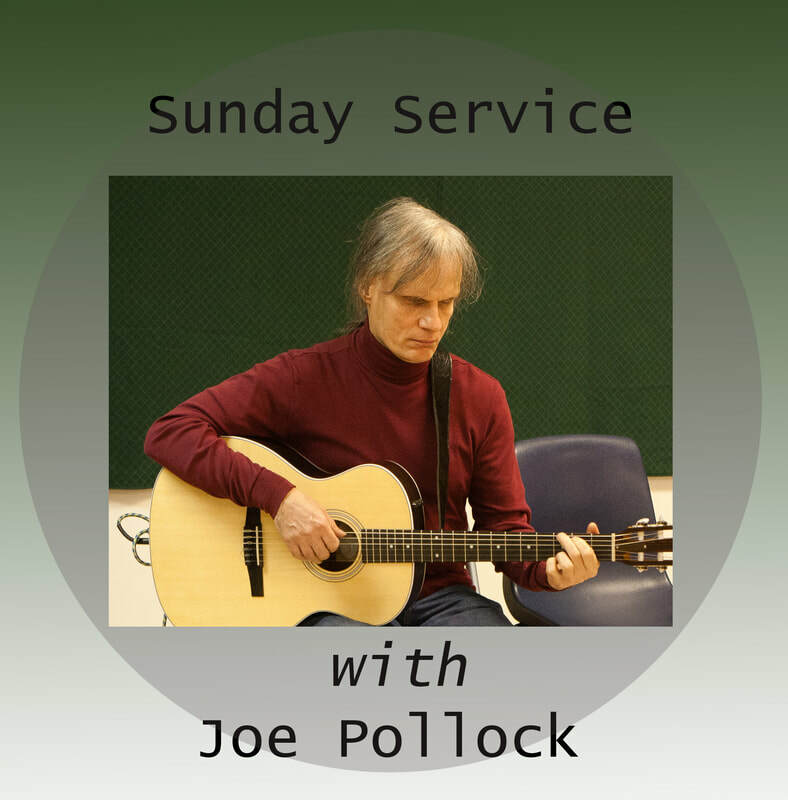 Joseph Pollock, a well known area musician and an avid historian will lead this service, combining his favorite things. Imbolc, St. Brighid's Day, Candlemas, Groundhog Day - Yes, it's cold outside, and snow still covers the earth. But deep in the earth, creatures are beginning to waken from hibernation. Seeds and bulbs are beginning to send out their tendrils to receive nourishment for a new season of growth. The days are getting longer. Can you begin to feel an awakening; the stirrings of new possibilities? It is time to set our intentions and make plans for our beloved community. Join us for a ritual of planting intentions, followed by a celebratory feast and joyful sacred singing. 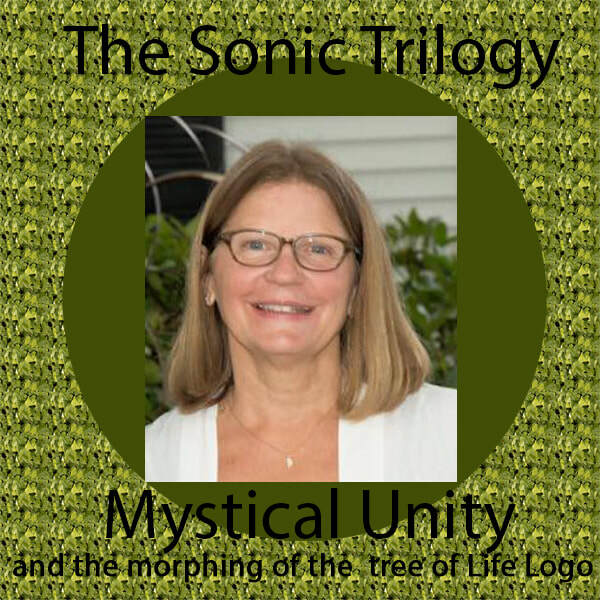 You are invited to join Reverend Jan ‘Ahjan’ Grossman, artist and vision holder of the Tree of Life, as she explores her understanding of Dr. Rev Stephanie Rutt’s Sonic Trilogy of Love, the divine core of Unity within each of us and the struggle to create a visual image to represent our potential imprint on this world. Who are we? Where does Interfaith come in? Why your heart matters. This is in honor of Medicine Story and will celebrate the Circle Way as well as other wisdom from the Native American tradition. Rev. Damanjeet Kaur and Bob Chapin have been co-journeyers for more than 10 years when Bob joined Damanjeet’s yoga class at Amherst Yoga. Since that time they have done yoga together, studied together, co- facilitated a book club, as well as shared great friendship and laughter. Bob currently serves as Treasurer of the Tree of Life Interfaith Temple and is a member of the Board. Damanjeet is an ordained Interfaith Minister through the Tree of Life and serves as Programs Liaison and sits on the Board. Are you standing in the shadows? What is it that you learn from this distance. It is one of my vows to offer my hand into the darkness to help bring another into the light. But what if it is me standing there. Perspective is everything when you consider your answer to this question. Lets share our thoughts on this double edged sword. Most days I am with my grandchildren, teaching yoga, or contemplating my wonderful life. When you as blessed as I am you can't help but shine in the light of the Beloved. On the solstice (sun stands still), the earth will pause at a still point, then turn towards more light. Let us pause in this busy season and join our light with others to the growing light of community. ​We can brighten the world, one light at a time. Drink in the soft music, candlelight, wonder, and peace. This ceremony is being offered at the UUCM at 6:30pm. I, like most, delight in this season and do my best to focus on being present to everything. I can't wait to hear ideas, share memories and enjoy each other's presence on Sunday. Let's have fun with this! I am ready! We will share practical ideas for how we navigate through these 'busy' days. We will share memories of past seasons. We will share what this season means to us spiritually. We will sing. And we will pray together! For our presence is our present to one another and the world! ​Let us come together. Rev. 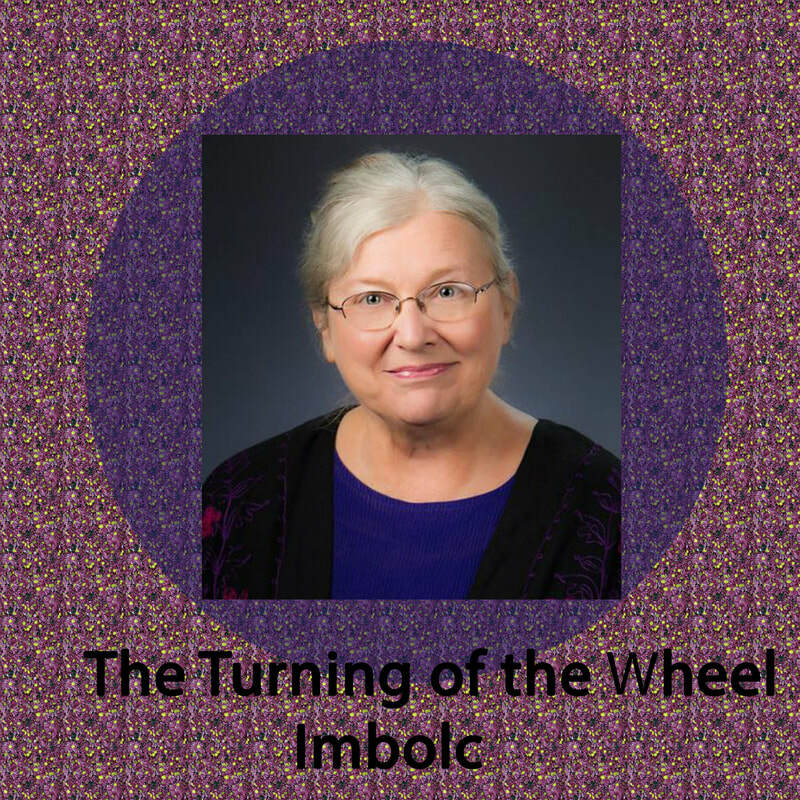 Linda Goodman is an ordained Interfaith Minister and has been leading interfaith and multi-cultural worship in various Unitarian Universalist churches for 20 years. Shhhhhhhhh:) Everyone loves a secret! A special Thanksgiving service was offered where we explored how gratitude unlocks the wondrous secrets of the universe...how awe becomes a natural occurrence when we've unlocked the mystery...and how joy then becomes the only possible outcome to infuse our daily living. We also received the gift from the harp lovingly brought forth by our Rev. Pam Nowell. 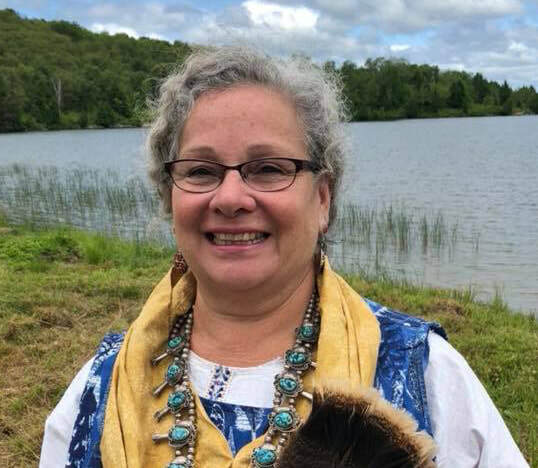 Reverend Pamela Nowell has been a working pottery, musician, sacred artist and general chief cook and bottle washer for over 30 years. 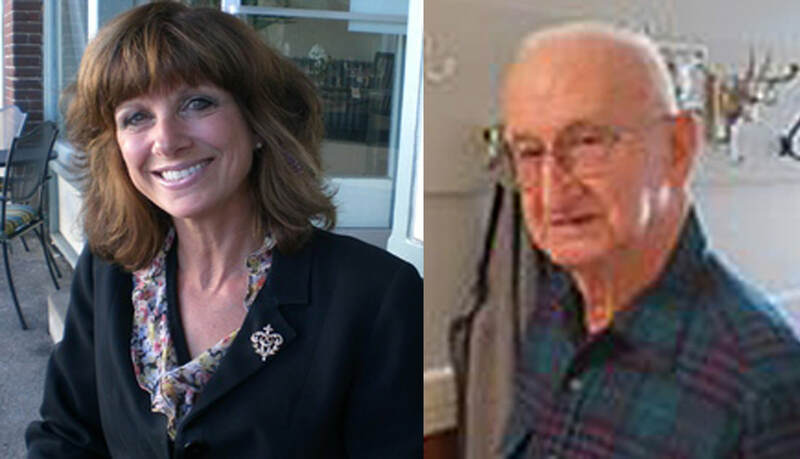 She has studied at the Tree of Life for 23 years with Dr. Rev. 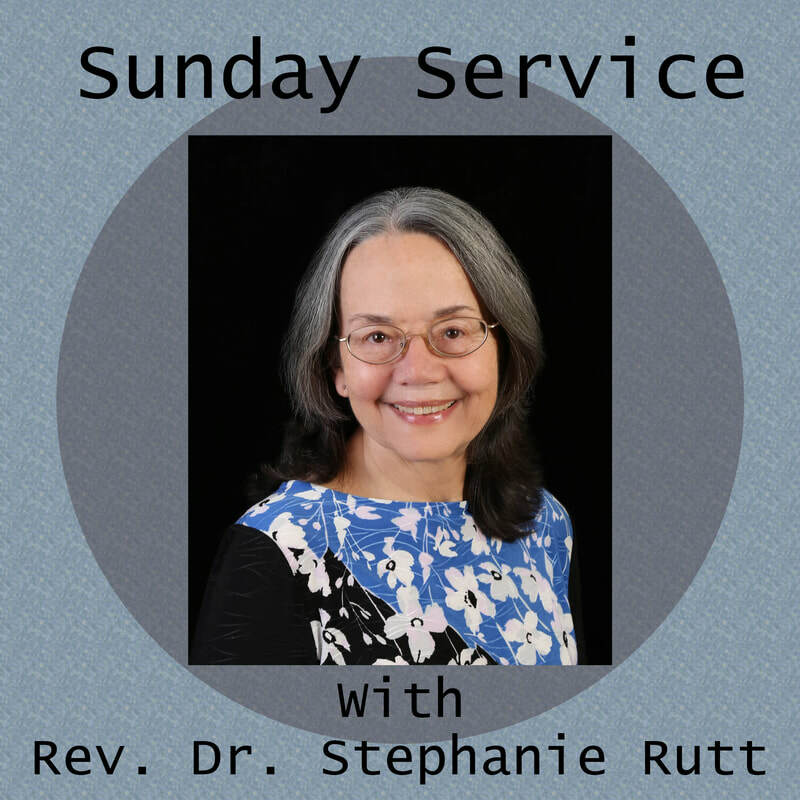 Stephanie Rutt and ordained in 2011. Love is her guide and mission. Walk with me as I explore a spiritual path using the practice of forming and firing clay through a potter's perspective. As a potter of 31 years and a lover of God for all of my Life, I have discovered a beautiful truth through my everyday living. Come and hear my story and discoveries. God has wonderful expressions! Come, listen and explore. See you there because all are welcome! Reverend Linda Fraser loves simple stories for their ability to speak profound truths which just might change the way we see ourselves and rejoice in others. 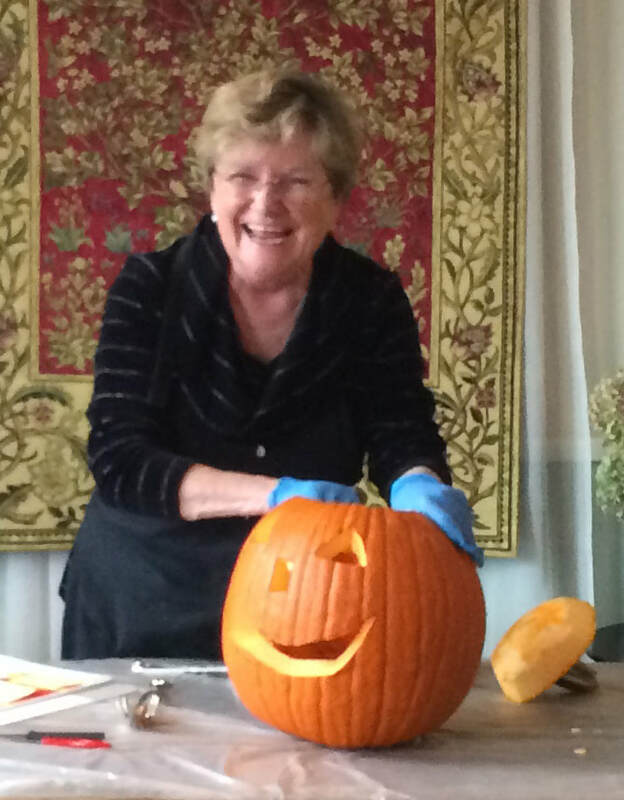 And... Linda promises to share her favorite pumpkin soup as we reflect on transformation. It's the perfect time of year to find ourselves in a pumpkin patch! This will not be a Halloween story! No ghosts or goblins or haunted mansions. God created pumpkins. Let's consider this creation in the farmer's field. Join us and see what happens. 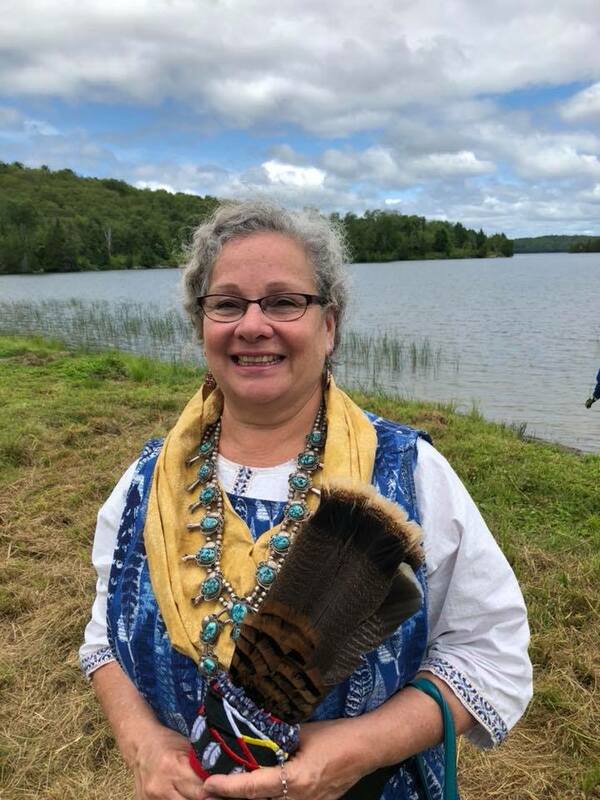 As a guest minister in a number of Unitarian Universalist and Interfaith Temple pulpits for nearly twenty years, it is my great pleasure to offer reflections and/or music on inclusiveness, meaningful actions, earth based rituals, world spiritual practices, and being the change. "Indigenous Peoples Day" re-imagines Columbus Day and changes a celebration of colonialism into an opportunity to honor the humble path of mutual relations, a path rooted in relationships with the earth and other living beings, the path that leads from exploitation and excess to sustainability and spiritual connection. "There will come a day when all races shall bind together under the sign of the rainbow and spread the wisdom of living in harmony with all." Answering the Call to Change the World One Encounter at a Time! Come and join us in humble, ecstatic, celebration for our new home on the Milford Oval, where we are launching our vision in answer to that which has been asked of us: to change the world one encounter at a time. "In great deeds, something abides. On great fields, something stays. for the vision place of the soul. and the power of the vision shall pass into their souls."